Her role in ‘Pretty Little Liars’, ‘Family Affair’, ‘Amanda Strazzulla’, and ‘X-Men: First Class’. 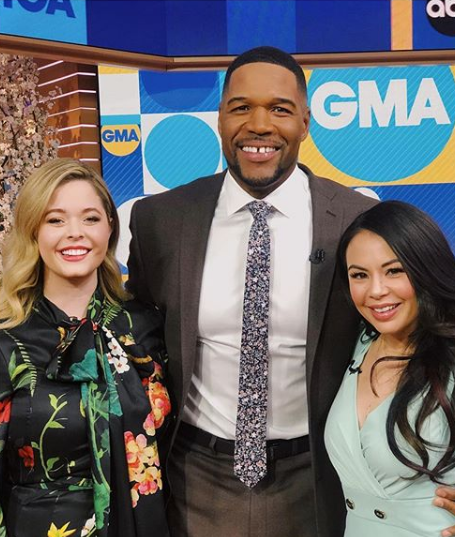 Pretty Little Liars: The Perfectionists has made its debut, bringing us a whole new generation of little liars and mysteries and questionable relationships, with PLL stars Sasha Pieterse and Janel Parrish there to guide the new kids. While so much happened in the first episode, a few scenes hit the cast the hardest, and they weighed in on their favorite moments in a video exclusive to E! News. Sasha Pieterse's pick is Mona's entrance, which was instantly iconic: suddenly appearing, holding a giant knife and a pie. "Alison's just like, ugh, really?" Pieterse says. "The pie was a disaster, it would not cut, or it would cut through the entire pie box and then we wouldn't be able to lift it. Janel and I had so much fun filming that scene." Sofia Carson loves the scene in Alison's first class when we first meet each of the Perfectionists. "Each one of us says our first line, and it just really sets the tone as to who Ava is, who Dylan is, and who Caitlin is," she says. Sydney Park recalls the final day of filming, watching that opening scene of Dylan playing the cello, and Janel Parrish's favorite was actually a bit of an Easter egg for Mona fans, all in the video above! Where was Sasha Pieterse born? Sasha was born to Dutch parents in Johannesburg, South Africa. Her nationality is South African and American and belongs to Dutch ethnicity. Her parents were a professional acrobatic dance team. She was raised up by her parents in a friendly and in an entertaining environment in Las Vegas, before moving to Los Angeles. As her parents were professional dancers, she was highly influenced by them to secure her career in the entertainment field (mainly acting, dancing and singing). She soon met with an agent who quickly signed her. She was home-schooled, and she graduated from super-early. In 2017, she appeared in the crime drama Film 'Coin Heist' playing Dakota Cunningham. The film was written and directed by Emily Hagins which was based on a young-adult novel written by Elisa Ludwig. In 2018, she appeared in The Honor List as Isabella Walker. In 2003, she won Young Artist Awards for Best Performance in a TV Series (Comedy or Drama) - Young Actress Age Ten or Younger form Family Affair. In 2014, she won Teen Choice Awards for Teen Choice Awards from Pretty Little Liars. In 2015, She won Independent Spirit Awards for Robert Altman Award (shared with the director, casting director, and cast) from Inherent Vice. In 2016, she won Teen Choice Awards once again for Choice TV: Scene Stealer from Pretty Little Liars. 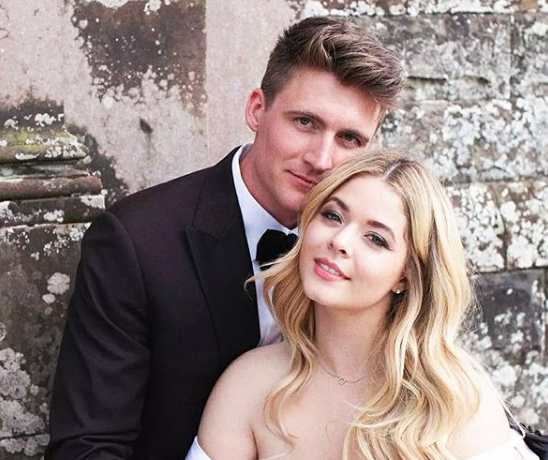 Finally, the couple got married on 27th May 2018 at Castle Leslie in Glaslough, Ireland. Both of them were looking stunning at their wedding as the bride was dressed in a Christian Siriano gown accessorized with a necklace from XIV Karats and Zadig & Voltaire bracelet. Previously, she had an affair with an actor, Cayden Boyd. The relationship did not last long and broke up soon. Besides, the talented actress was diagnosed with Polycystic Ovarian Syndrome which results in weight gain. The actress earned both name and fame in this industry and win million heart through her act. She is one of the well-established actress and singer. Besides her acting and singing career, she is also a model. 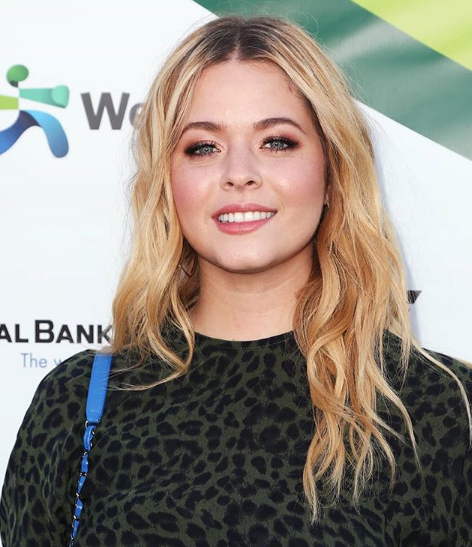 As a model, Sasha Pieterse has modeled for numerous Ads. Her estimated net worth said to be $3 million. According to some online sources, a TV star makes an average salary that ranges from $150k to $1 million. She has many upcoming projects from which we can assume to see a rise in her net worth in the coming future. Observing her body statistics, Sasha Pieterse has a height of 5 feet 6 inches. Her body weight is 57kg. Besides this, she has blonde hair and blue eyes. Sasha Pieterse has the body figure measurement of the size 32-24-34 inches. Her bra size is 32B, shoe size is 8US and 4US. She has had the travel bug from a young age. She started horse-riding when she was 9 years old.